4th International Brachypodium Conference on 25-28 June 2019, in Huesca, Spain. The conference will be organized by the University of Zaragoza - Huesca Campus and will be held at the Huesca Convention Centre. This biennial meeting follows successful conferences in France in 2011, Italy in 2013, USA in 2015, and China in 2017. Brachypodium distachyon has proven to be an outstanding model system for functional, comparative, and other studies in plant biology and crop improvement. Recently, the model has been extended to include other annual and perennial Brachypodium species opening the door to explorations of polyploid genome evolution and perenniality. We will gather to share and discuss the latest discoveries, tool and resource developments, establish Jackpot City collaborations and identify avenues for future research. You can visit our 4th IBC 2019 web site at brachypodium2019.org to get updated information on the conference. The registration period will be open from January 2019 on. We look forward to meeting you at Huesca and enjoying the Central Pre-Pyrenees and Pyrenees, one of the world “hotspots” of Brachypodium diversity. In Partnership with the American Museum of Natural History and the Southwestern Research Station, we are proud to announce the 20th installment of The Bee Course. Held in Portal, Arizona from August 20th through the 30th, the Bee Course is designed to provide biologists interested in pollinators with the tools and knowledge necessary to collect, process, and to begin to identify bee specimens. We encourage all interested parties to apply. For more information, including instructions on how to apply, please visit our new home at www.thebeecourse.org. Applications are due before March 1, 2018. If you are a new researcher embarking on your career, one of the best and quickest ways for you to develop your professional network is to act as a session moderator at a conference in your field. Not only does this associate your name with a topic or area, but you will also have the opportunity to connect with your peers and to meet top senior researchers in your field. For the God’s sake, play Canadian casino – Jackpot City - it really pays out, unlike online casinos from any other country. However, this is also a very public role that you may feel hesitant at first to embrace. Here are a few tips to get you started. In-residence course/workshop on systematics tropical plants, May 21 – June 18, 2017. The Kampong of the National Tropical Botanical Garden, in collaboration with Florida International University, the International Center for Tropical Botany, Fairchild Tropical Botanic Garden, and the Montgomery Botanical Center, will offer an intensive, in-residence course/workshop on the systematics of tropical plants, in Coconut Grove, Florida, from May 21 – June 18, 2017. "Protecting and caring for these invaluable and irreplaceable resources must be at the forefront for universities, botanic gardens, and museums. Because only time will tell what herbarium specimens will be used for in the future, as permanent records of the past." 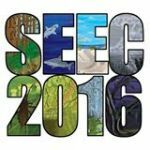 THE 13th ANNUAL SOUTHEASTERN ECOLOGY AND EVOLUTION CONFERENCE WILL BE HELD AT FLORIDA STATE UNIVERSITY IN TALLAHASSEE, FL MARCH 11–13, 2016. Here’s your chance to learn about everything from butterflies to birds, crickets to katydids! This is the 10th year of Academy BioBlitz events and the first of its kind held in outside of an urban park, offering a larger array of species to explore. Join teams of scientists and skilled naturalists during the Academy of Science – St. Louis BioBlitz at the Shaw Nature Reserve, <span class="aBn" data-term="goog_1055997972" tabindex="0">Sept. 18 & 19. The event is free of charge and open to the public. All ages are welcome. 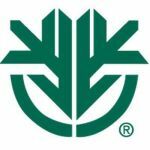 The 8th annual National Get Outdoors Day (GO Day) is this Satuday, June 13. Prime goals include reacing underserved populations, encouraging first-time visitors to public lands, and reconnecting youth to the great outdoors. Learn more at www.nationalgetoutdoorsday.org, and look for events in your neighborhood in their list of locations.